The Mary Picket Theatre is almost 100 % energy self-reliant. The theatre decided to use green technology as part of an effort to minimize increasing electrical and operational costs over the long term. In doing so, the theatre not only reduces its operational costs but also keeps their audiences cool during hot summer months in an almost completely energy self-reliant way. 8 Sunny Tripower CORE1 inverters have been installed on the roof of the cinema building. 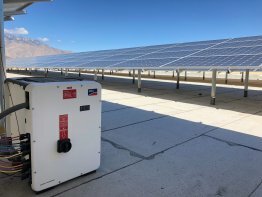 The 620 kW roof-mounted solar system is paired with a 1,000 kw/hour energy storage plant consisting of 1,560 LG Elec solar modules and14 SMA inverters: eight 50kW Sunny Tripower CORE1 for the roof and six Sunny Tripower TL-US inverters from 15000TL to 300000TL for the canopies, and a 1MW Energport energy storage system. 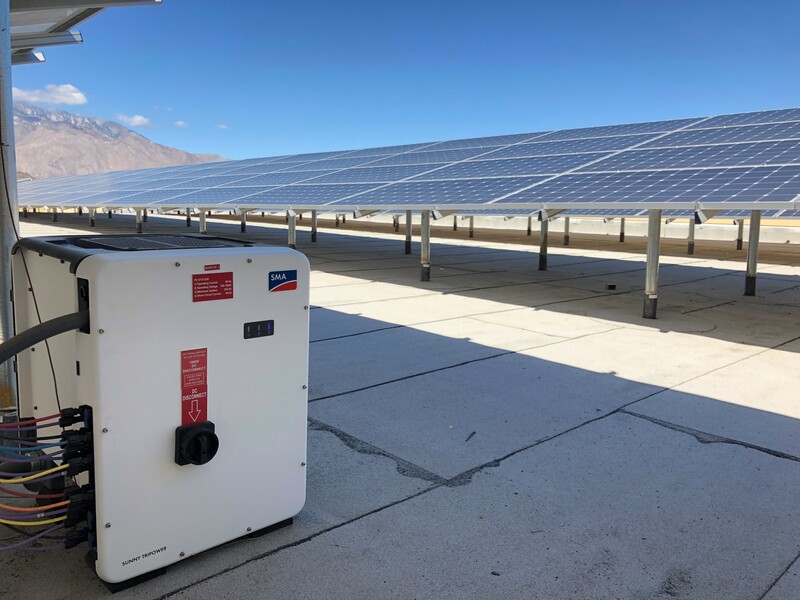 “We chose SMA inverters for their historical dependability, roof mounting simplicity and integration, and extended warranty service,” said Ronald Harris, CEO and managing member of Aeterna Energy. The visitors of the cinema enjoy cool comfortable temperatures even during the hot Californian summers. With a combined solar and battery storage system, the theater will be almost completely electrically independent during its operating hours by producing more than 1 million kW/hrs annually. The system will also be able to store unused solar energy generated during the day, which they can use at night, rather than the available power going to waste from overproduction. Because of this solar project, the Mary Pickford Theater now leads the nation by becoming the first theater in California to embrace innovative technology combining solar and storage. 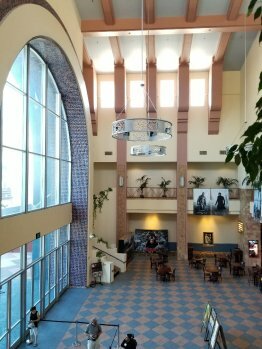 The theatre also earns recognition as one of the country’s premier privately owned buildings with energy storage operations. In addition to benefitting the theater, a project like this one benefits consumers by relieving stress on the grid, helping Southern California utilities optimize the amount of renewable energy utilized on the grid, and supporting state goals of reducing greenhouse gas emissions 80 percent by 2050. Learn more about SMA solutions for cinemas or company roofs here.